"My loving and talented mommy introduced me to Yoga at a very young age, and it's been an ongoing love affair ever since. I love the way Yoga makes me feel, think, live and breathe. The way it makes me search, deep within myself and this universe for truth, unconditional love, positivity, strength and acceptance. My passion is to share what I have learned over the years with others. Yoga Yurt is an absolute dream come true for me. 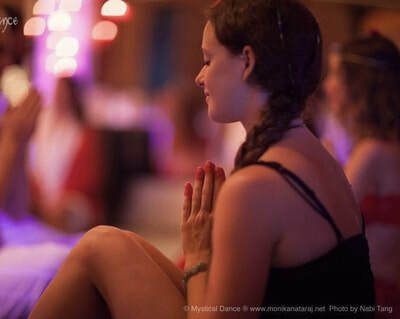 Somewhere people can come surrounded by nature, to practice Yoga and just be present in the moment, breathe it all in, and learn to share their unique love and light in the community and universe." "I picked up a passion for yoga after my son Monty was born 8 years ago. Deep breathing has saved my life. As a high intensity person, I feel like Yoga has helped teach me to cope with daily stresses and just mellow out. I have also struggled with chronic back pain (L5 injury) for a long time and can finally say I am now completely pain free, all thanks to practicing Yoga. I completed my teacher training in Nosara, Costa Rica. Furthering my practice has landed me where I want to be; living and breathing Yoga." "I feel very blessed and humbled to practice Yoga and enjoy the physical and spiritual journey it's taking me on. Having experienced firsthand the incredible tranformative powers of Yoga, I am dedicated to sharing my practice with others and spreading good vibes and loving kindness in the world. In addition to keeping the body strong and flexible, I hope to facilitate students' journey within themselves to discover gratitude, mindfulness, and inner peace. I received my 200-hour Yoga teacher training from Warrior 1 Yoga in Costa Rica and I am also attuned at the 1st level in the Usui Reiki method." "I have been in the fitness industry for over 20 years and have learned the challenges with weight loss. 2 Years ago, I suffered a terrible fall after coming off my horse, which has lead me to Yoga. Doctors informed me that I could swim.....that's it! To me, that wasn't acceptable, so I started my Yoga journey in October 2012 and I haven't looked back. Yoga has truly saved my life. Without it, I couldn't move, flow and keep mentally well. I opened my doors in February 2004 and have been helping clients with weight loss, muscle strengthening, Yoga training and nutritional deficiencies." "Yoga has been a part of my life for over 10 years, and my practice has helped me to grow stronger and more flexible. Yoga inspires me to live each moment more mindfully. I completed my 200 hours teacher training with The Yoga Mat. I will forever be a student of the practice Yoga. In my classes, I love to combine creative sequencing, a spirit of playfulness and a dose of inspiration to help deepen your practice. My aim is to help others feel energetic, stronger, and balanced by nurturing the body, mind and soul." "My work started with my own Holistic Esthetic business back in 1999. From a passion for natural products and lifestyle grew my curiosity of a spiritual faith which led me to Reiki. Eventually I became a Reiki Master, having found a wonderful teacher. More divine timing brought about a spiritual nudge to start teaching guided meditation. I was in love with watching women who took my classes heal and transform their lives through their own commitment to their spiritual growth, while learning the importance of meditation. Having lived in Oakville, Connecticut, and King City all in the last 5 years, I have now put my forever roots down here in beautiful Goodwood with my family just recently in 2017. I have also through my journey become a passionate permaculture gardener and have made growing as much food as possible for my family on our yet-to-be-fully-established farm, a goal for the upcoming years. I feel as though my life up until now has been a series of divine timings and whole-heartedly believe that when we surrender our dreams to the Universe with full faith, we wake up one day realizing we are living our dream and then our destiny becomes sharing our gratitude back to Mother Earth. I am very excited to share my life experiences with Reiki and Meditation now through Yoga Yurt!" "My passion for Yoga started with my journey to better my physical health after dealing with many emotional challenges and debilitating illnesses over the years. This allows me to bring compassion and understanding to each and every class. Along the way, I discovered that there is so much more to Yoga than just the physical aspect. My classes work on gaining better body awareness, focusing on breath and working towards mind and body relaxation. I believe that the fundamentals of Yoga and meditation are very important in furthering the students' personal practice. I am also a certified Reiki Practitioner. I want to help people have a better understanding how to connect to our essence, our energies, and our higher selves as that can lead to a better understanding of who we are as individual, bringing ourselves into our higher consciousness, connecting or reconnecting with nature, and becoming content and happy with anything that comes our way. I understand that all this can be seen as a challenging process, and therefore, I'm determined to create a safe, positive and peaceful environment for every student." Namaste! I have been practicing Yoga for over 10 years. Swimming instructor, runner, fitness enthusiast.... Yoga was once just a stretch and an oppourtunity to distract myself (from myself). Over the past 4 years on my journey through recovery, Yoga has given me life. I believe a large portion of healing comes through physical movement. A connection of body, mind, and soul. It is with great honour, that I get to use the challenges life had to offer me, turn them into strengths, and share my solution with others. Yoga has helped my mentality switch from survivor, to thriver. I look forward to continuing this Karmic exchange of energy with each beautiful soul that I cross paths with. Join me on the journey to wholeness. A Yoga Alliance registered teacher (RYT 200) at the 200-hour level. She completed teacher training at YogaFit Canada and doubling up for her love of music and dance, she is also a certified Total Barre Instructor obtained from Merrithew. She now shares the gift of Yoga and Barre in her community. With 10 years of practicing Yoga and 10 years as a Ballet dancer, Rachel's teachings reflect her love of movement, to be free and fluid in flow with breath and music. Breath and movement is the key foundation to all her classes. As long as you're breathing and moving, you are doing Yoga. Off the mat Rachel is a wife, mama of two and Transformation coach. Her very real and everyday life gives her a deep appreciation of the ongoing process of finding balance of the inner self through Yoga. 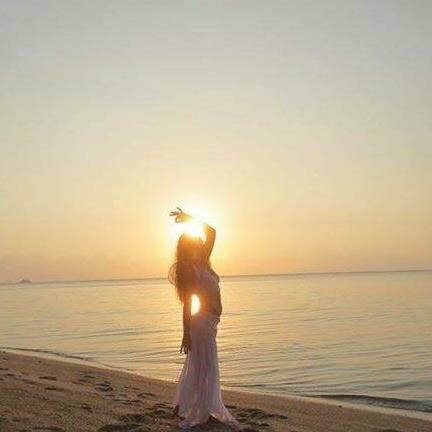 "I live to.....always learning, always receiving, always sharing, and always having gratitude, that's my balance, this is me. Namaste"
Jen is a Certified ThetaHealer TM Practitioner, with 10 unique course Certifications, including Animal Communication. Her life-long connection with animals began on her home farm growing up as a child. Jen was surrounded by a variety farm animals and connected with them on a deep intuitive level. She can be found working in the field, doing animal readings, healings, and workshops. When it comes to humans, Jen helps her clients gain a better understanding of their situations, emotions and overall mental and physical health. Using her intuitive skills, Jen can zone in and identify limiting beliefs, emotional blocks, and works to clear these blocks so her clients can begin to live a more fulfilling, satisfying and happy life. 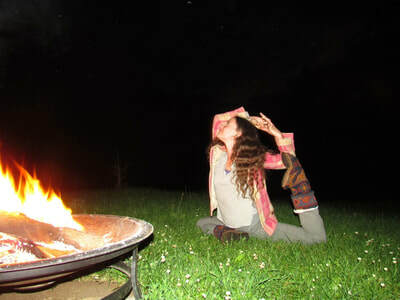 Naty Howard is the founder of the ReAlign Ranch, where she teaches tools for alignment with the inner space of Soul Creation such as Yoga, meditations, Shamanic rituals, live food nutrition as well as she guides liquid feasts and vision quests. Her intention is to be of service through the process of self-transformation that leads to environmental and personal awareness, self-sustainability and spiritual growth. Her personal journey to alignment through which she healed from Heavy Metal Toxicity was the challenge that opened her awareness into this next Evolution. Her journey through Yoga, meditation, raw foods, and a stronger connection with the sacred within herself, has deepened her spiritual practice and opened new doors to other levels of consciousness and awareness. Now strong and healthy, Naty wishes to be of service to others on their journey of alignment of body, mind and soul.